Some investors choose to manage their investments themselves, and others choose to hire help. Either can be a fine choice as long as you check in on your portfolio periodically and are mindful of any management fees you pay. Financial advisors aren’t only for the wealthy. They offer services at a variety of price levels, and some investors find their guidance and hand-holding helpful. Fee only vs. commission based: The former charge clients a set fee, while the latter earn commissions from the sales of financial products. Qualifications: Some advisers hold advanced degrees and additional certifications, while others may have only passed a basic licensing test. Personality: You’ll be trusting this person with your net worth, so you want to pick someone you feel solid about. 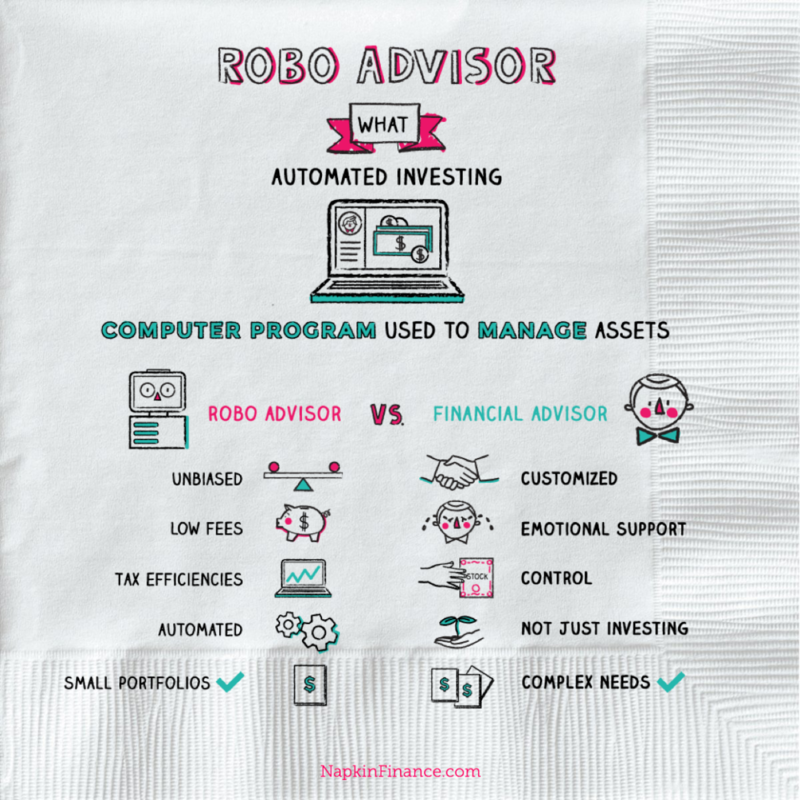 Robo-advisors provide automated, all-digital investment management. Offered by a range of startups and established financial firms, they pick your investments—usually a range of index funds or ETFs—and automatically rebalance your portfolio for you. They’re usually low fee but aren’t as personalized as human advisors; you can’t, for example, call them up if you start freaking out about the market.